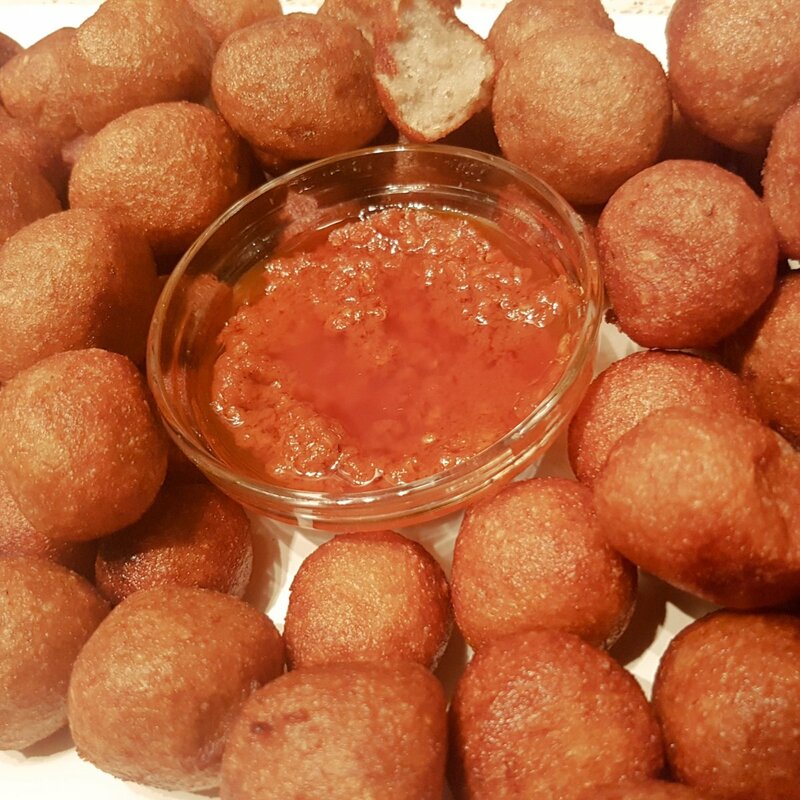 Akara cassava is one among the many delicious street snack in Cameroon. It is gluten free and a vegetarian snack. 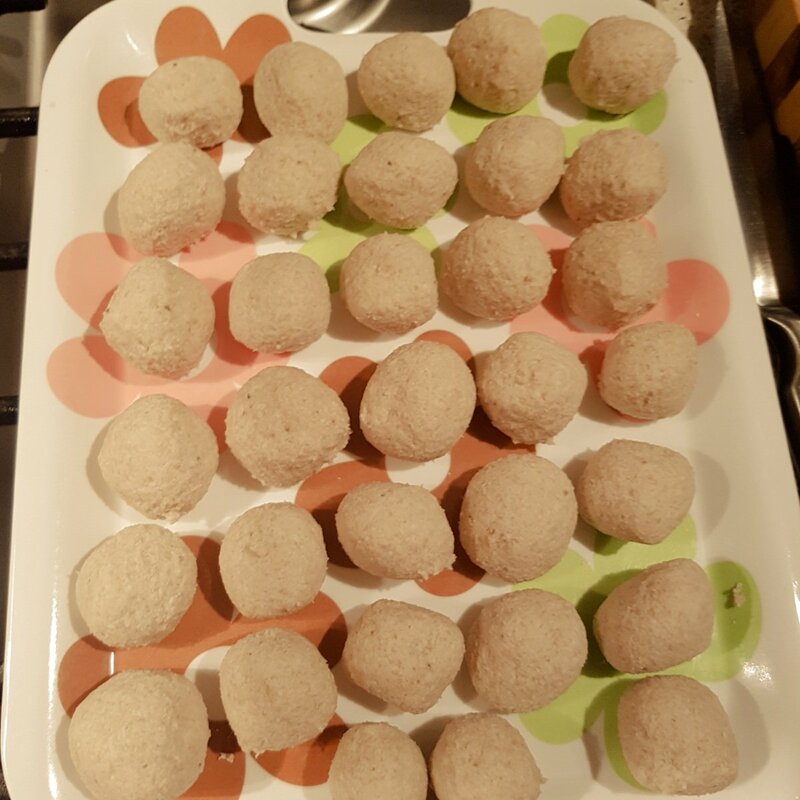 It’s made out of Cassava and banana we add some salt to make it delicious and complet. It’s a sugar free snack. 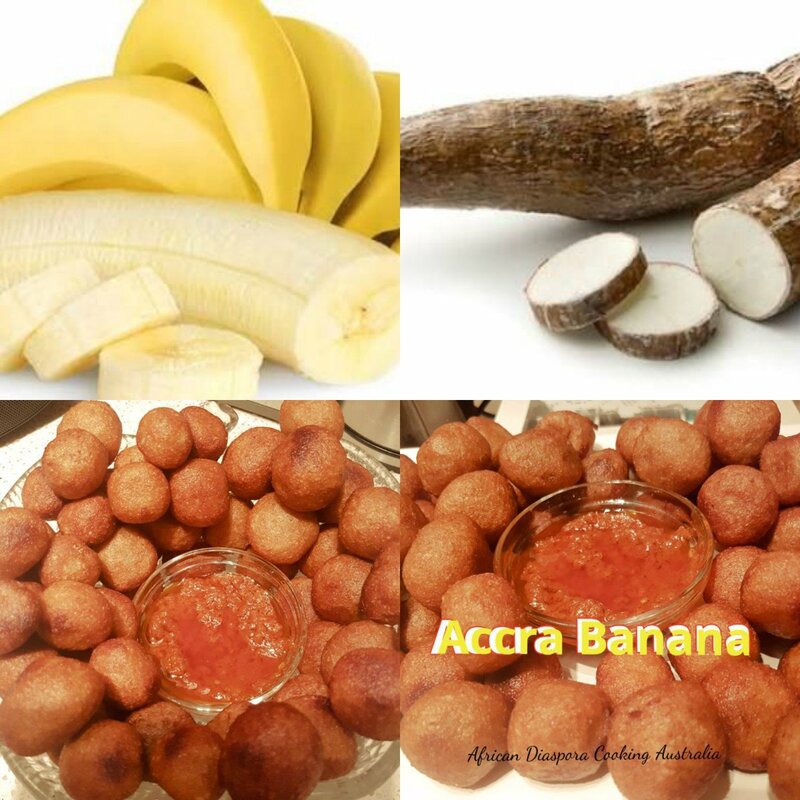 We don’t use sugar when making accra banana but it turns out to be very sweet due to the richness of banana sweetness . It’s small and roundnish in shape. It’s delicious and irresistable. Once you start eating just one, you will end up eating over 20 of them. It’s at it best when hot or warm. In Africa, it is very cheap. Women fry rhis fritters at the road sides. With 25 frs, you can afford over 10 of them. It goes well with hot pepper source / chilli source made with hot herbanero pepper. People actually queue up for this round goodness. 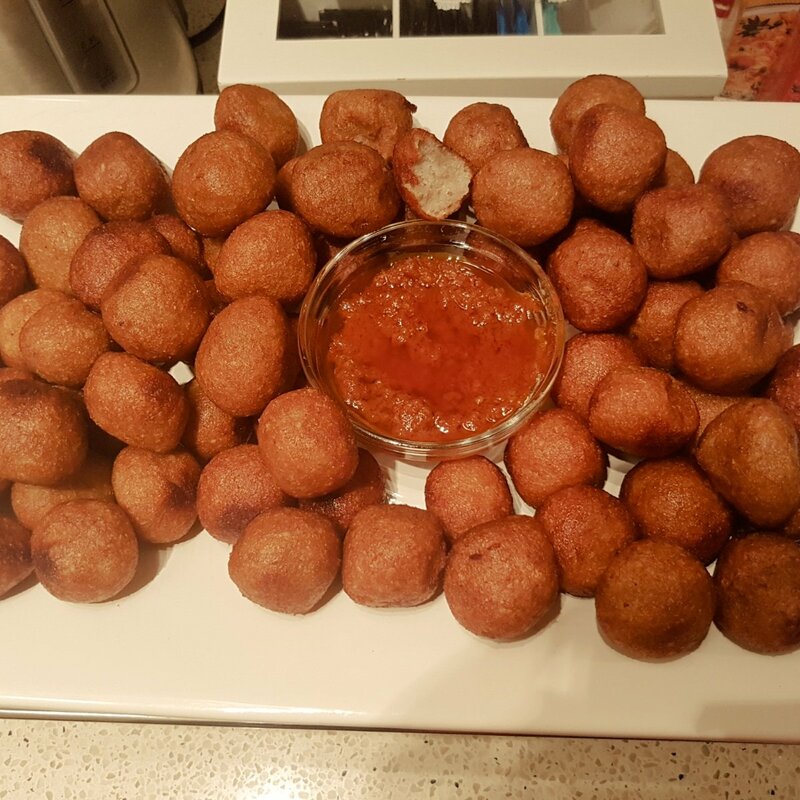 Akara cassava is a good finger food which can be very tantalizing as a starter. Peel and slice your banana into small slices and blend them properly and set aside. 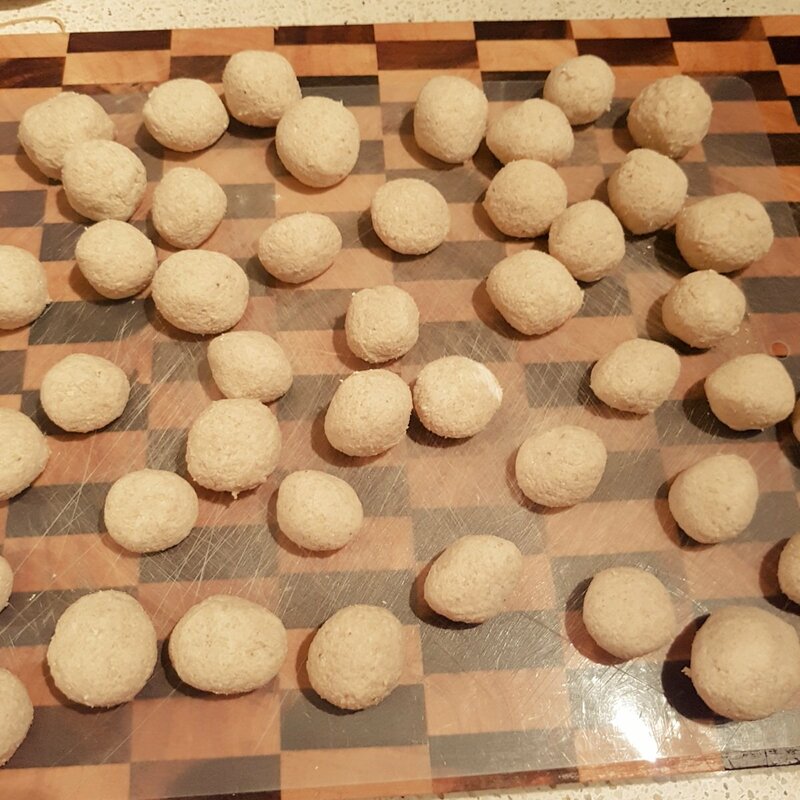 Grate / blend your fresh cassava. 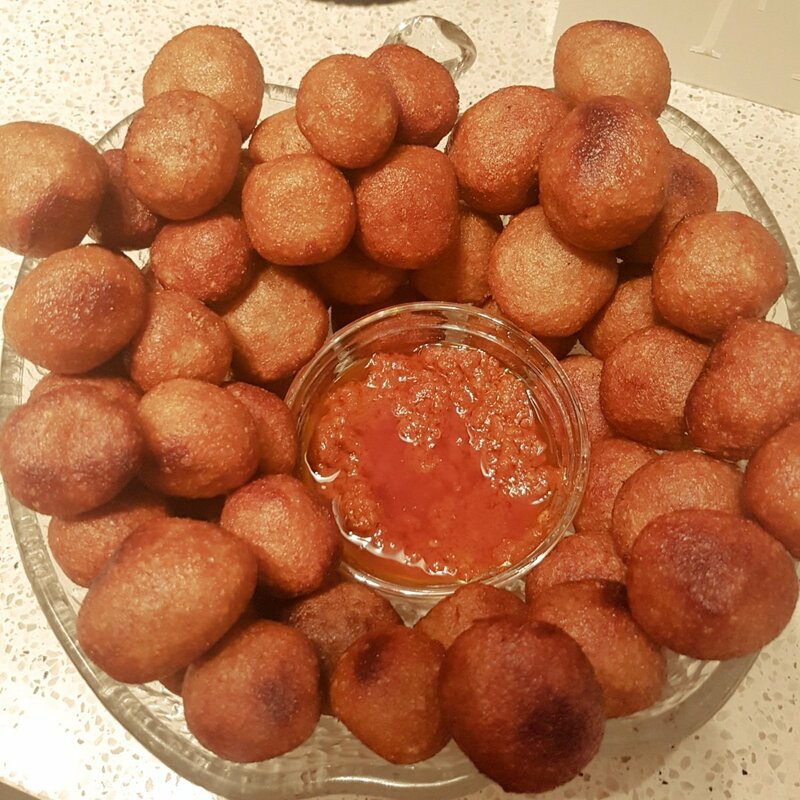 Mix blend cassava and banana properly. Make sure you do t put too much banana into your cassava paste. Just to make sure it doesn’t turn iut to be very soft. Start rolling with your palms to give it a small round shape. Heat your vegetable oil . Make sure you have a medium heat. 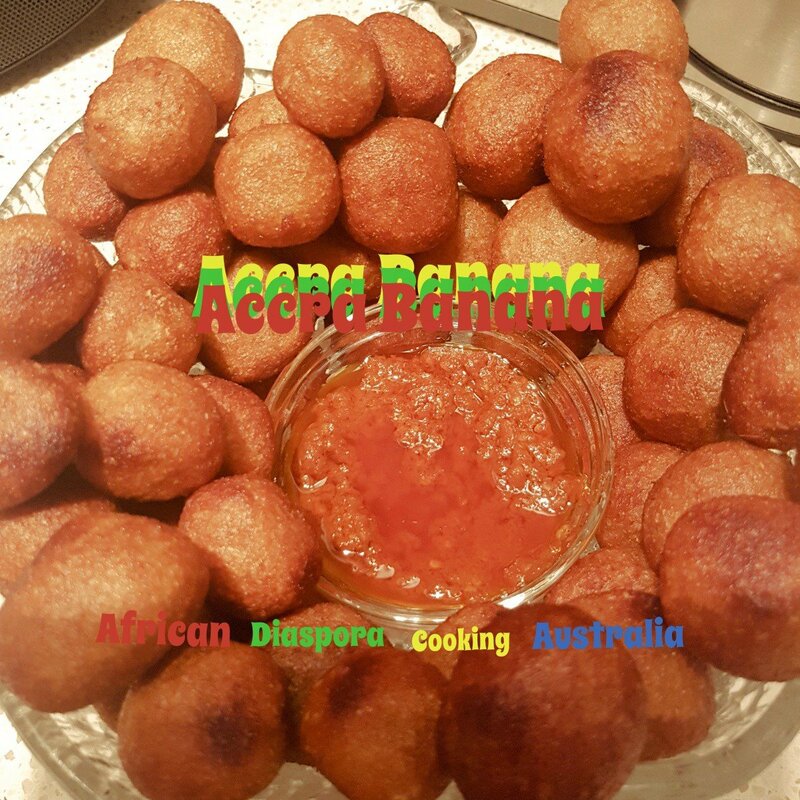 Deep fry your Akara banana.